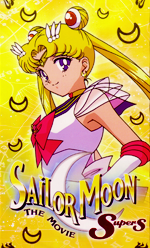 Here you will find all three of the Sailor Moon movies for direct download. All of these movies are in the original Japanese with soft English subtitles. They were downloaded from torrents provided by SailorMoonCenter.net and then individually uploaded here for those who may prefer direct downloads. Please enjoy! Click on the image to learn more about the movie and download it. 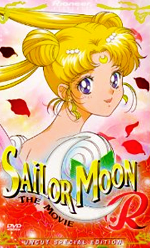 Summary: When a stranger suddenly arrives claiming to be an old friend to Mamoru, Usagi and the girls find themselves pulled into a treacherous battle that threatens the lives of Mamoru and and entire planet. Summary: Earth falls victim to the attack of Princess Snow Kaguya, out for revenge after the ginzuishou defeated her long ago. Meanwhile, Luna falls in love with a young handsome astronomer who falls prey to Kaguya and it is up to Sailor Moon and her Senshi to protect Luna's first love and the Earth. Summary: During the night streets of Tokyo, a young boy Poupelin plays a song on his flute, hypnotizing children to follow him into a mysterious ship that sails off into the sky. 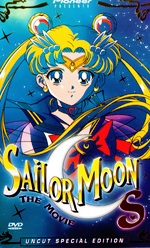 Chibi Usa becomes one of these kidnapped children and Sailor Moon must sail into a strange universe of nightmarish dreams to rescue Earth's stolen children.